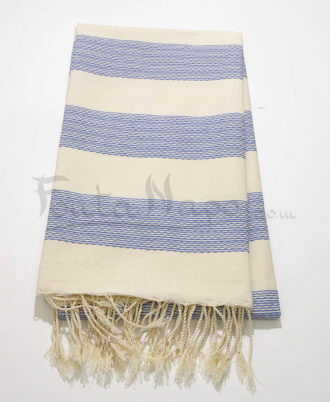 The fouta towel Tweed Crude & Beige is a fouta is a modern fouta with differeent uses. The fringes are hand knotted by women. The fouta chevron is soft, sober and elegant. It’s very ideal and perfect at home or for moments of relaxation and in cool evenings of spring and summer.